Welcome to the Environmental Contractor's page. These programs are by far and away our most successful products. With the in-depth knowledge of the business and our flexibility in tailoring the coverage to contractor's specific needs, we can provide you with the most competitive program available. 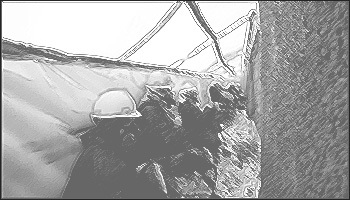 • Asbestos and Lead Abatement Contractors Liability. The General Contractors Pollution and Professional Liability coverage may be combined on one form. • General Liability coverage on an occurrence or claims-made form. • Professional Liability coverage by endorsement. • Monoline Pollution Liability available for most contractors (receipts rated) on a Claims form. Minimum Premium usually start at $5,000 for Asbestos and go up to $10,000 for others. Base Limits of $1,000,000. Excess Limits are available on a project basis. Tell us what you need and we will work it out. Note: Terms, pricing, conditions and coverage's are only offered here as example and are not to be construed as an offer. Our quotation will be specific and make reference to the price, policy exclusions and any endorsements.